14 November 2014, Arena de Evolución – L.O.C.K. 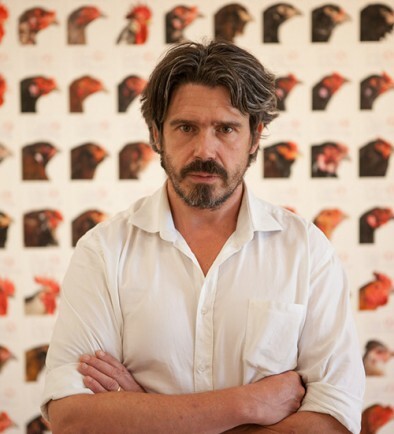 On the occasion of the solo exhibition Darwin’s Dream, an ‘In Conversation’ with Koen Vanmechelen, Em. 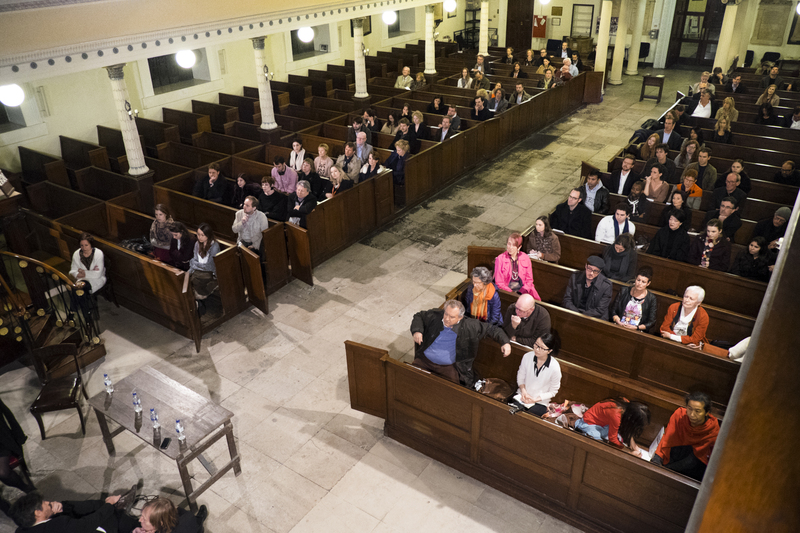 Prof. Jean-Jacques Cassiman and curators James Putnam and Jill Silverman van Coenegrachts was set up in the St Pancras Church. 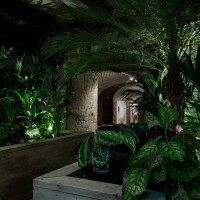 Central was the idea of the crossbreeding between art and science, interlinked with Darwin’s practice and that of artist Koen Vanmechelen. 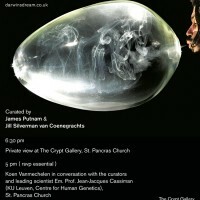 James Putnam firstly introduced the panel and spoke briefly about the exhibition. Afterwards the artist talked about his work and why it is centred on biocultural diversity. 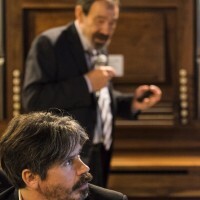 He was followed by prof. Cassiman, a specialist in human genetics. 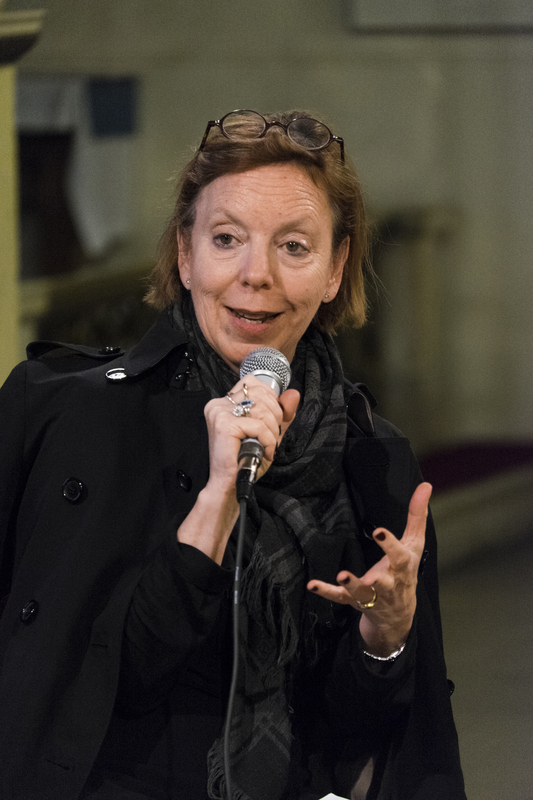 The lectures sparked interesting debate material for the closing panel discussion. 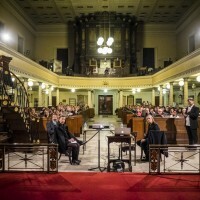 At 5pm on Friday 14 November 2014, Koen Vanmechelen set up an “in conversation” with Em. 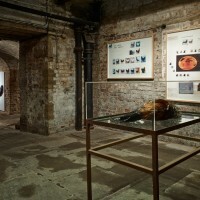 Prof. Jean-Jacques Cassiman (KU Leuven, Centre for Human Genetics) and curators of the exhibition Darwin’s Dream; Jill Silverman van Coenegrachts and James Putnam. 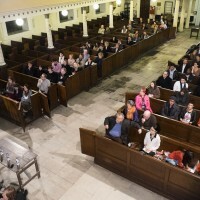 The event took place at the St Pancras Church in London (UK). James Putnam welcomed the audience, introduced the panel and spoke briefly about the Darwin’s Dream exhibition that opened that same evening. 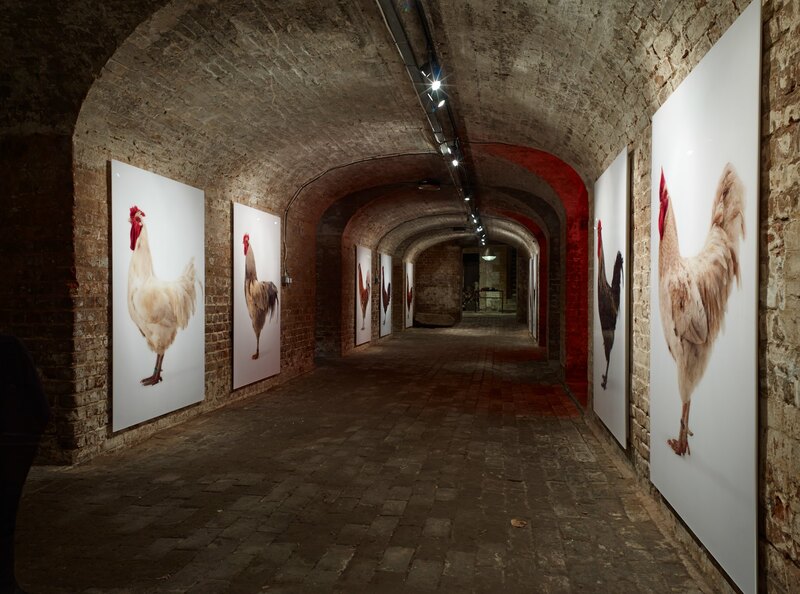 This first UK solo exhibition of recent work by Belgian artist Koen Vanmechelen has it origins in his ’Cosmopolitan Chicken Project’. This C.C.P. 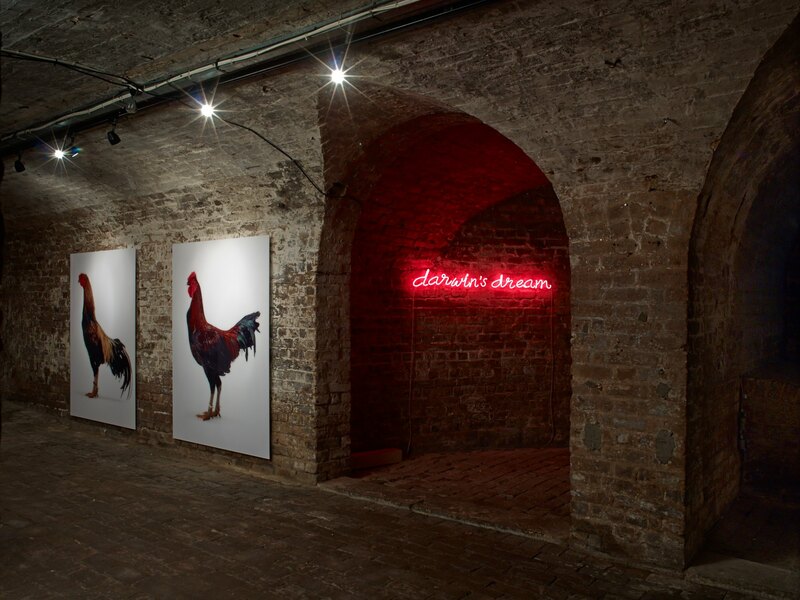 debuted in London as part of Lisson Gallery’s groundbreaking group exhibition ‘A Shot in the Head’ (2000). 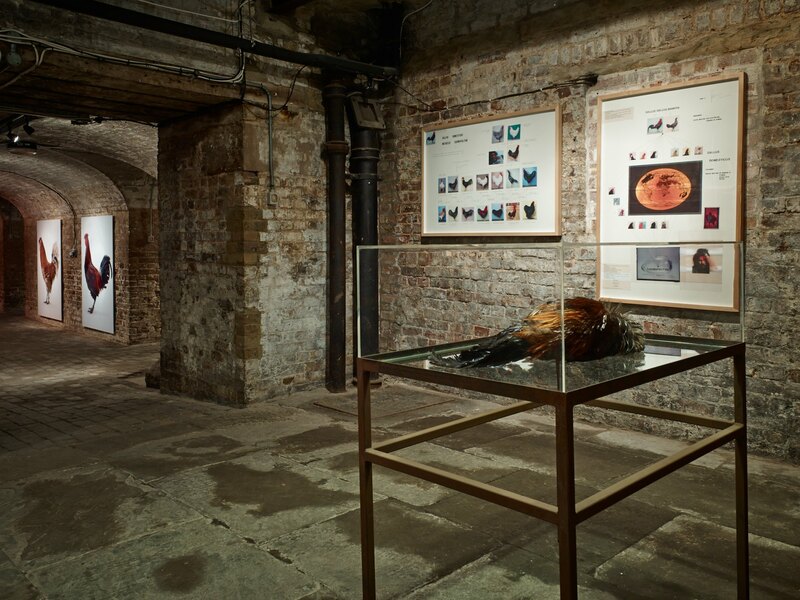 In the evocative, labyrinthine tunnels of the 200 year old crypt of St. Pancras Church, Darwin’s Dream reflects on the artist’s discoveries through works in a multitude of media. 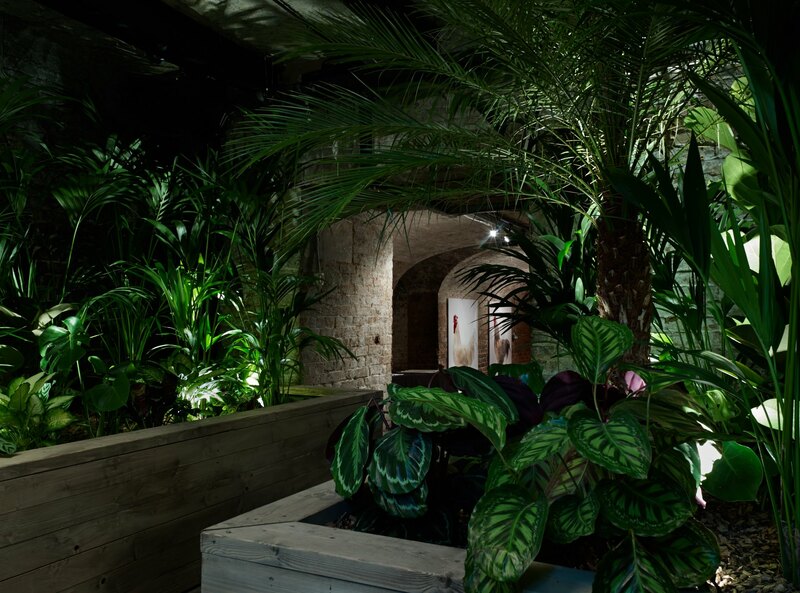 Curated by James Putnam and Jill Silverman van Coenegrachts, the exhibition features a living ‘jungle’ and a miniature lake at its centre and includes performance video, photography and sculpture in glass. 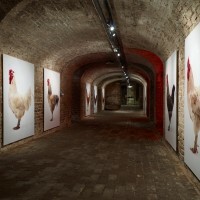 The genetic lineage throughout the generations of the cosmopolitan chickens is illustrated in a family tree and larger than life-size photographic portraits of the parents and their offspring, presented alongside specimens of the different generations preserved in taxidermy. 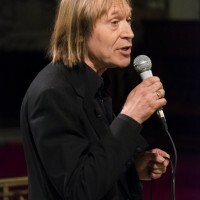 Koen Vanmechelen was the first speaker. 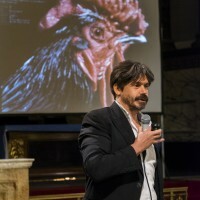 During his lecture, he explained his Cosmopolitan Chicken Project, the different foundations and his Open University of Diversity. 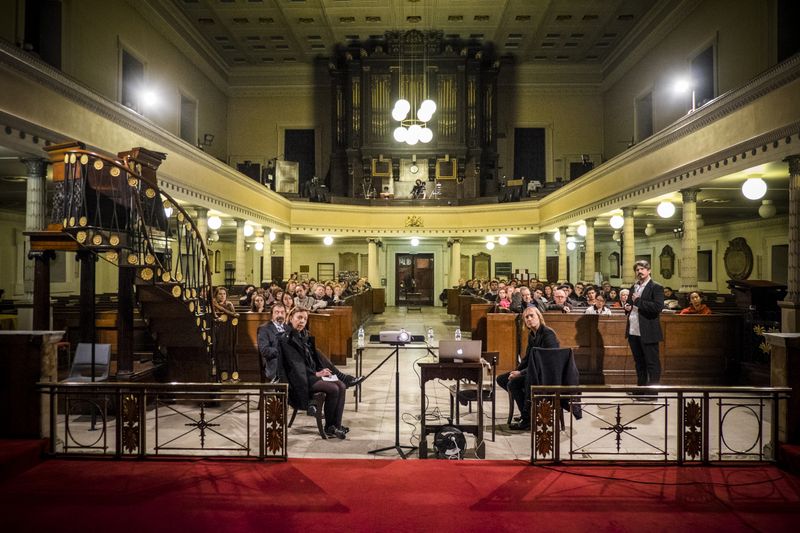 He did this by introducing the listener to a world characterized by a symbiosis between art, science, philosophy, politics and ethics. This was a new way of reflecting on existential questions and on contemporary issues that relate to, among others, diversity, globalization, racism, genetic modification and cloning. 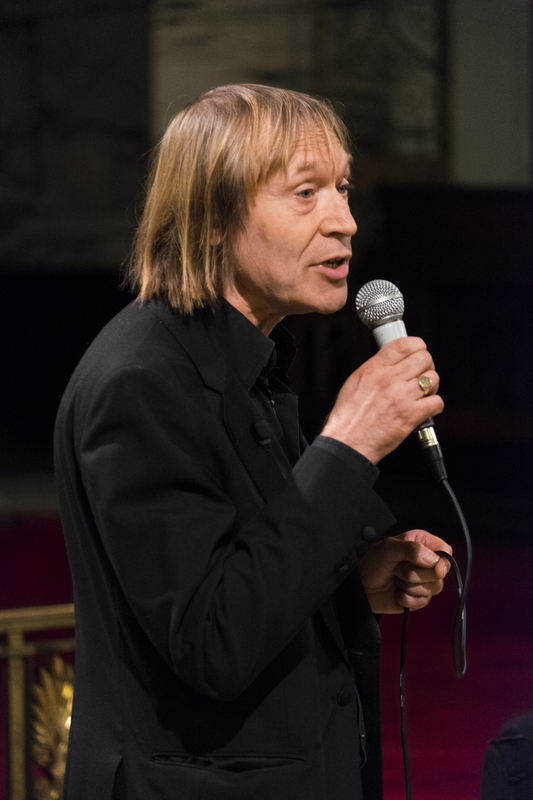 Secondly, Jean-Jacques Cassiman talked about (human) genetics and DNA and more specifically about his collaboration with the artist. 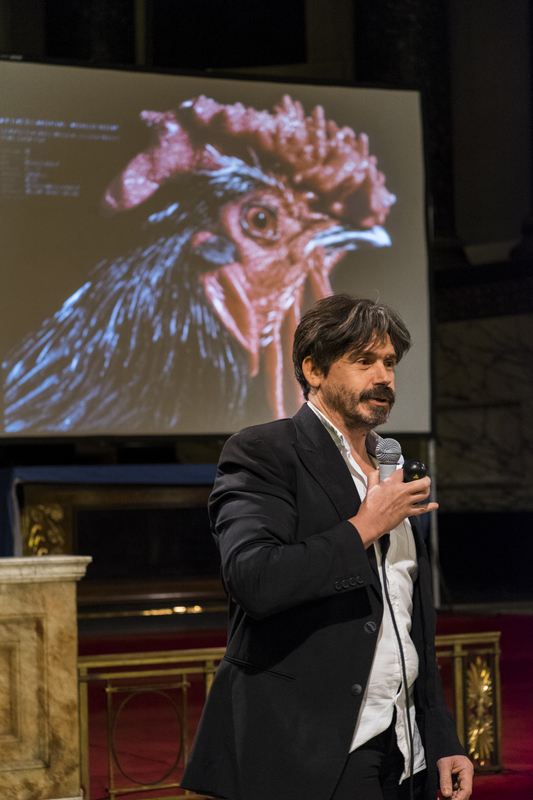 Since 2009, a team put together by the professor is working on an artistic, genetic project entitled the Cosmopolitan Chicken Research Project (CC®P). 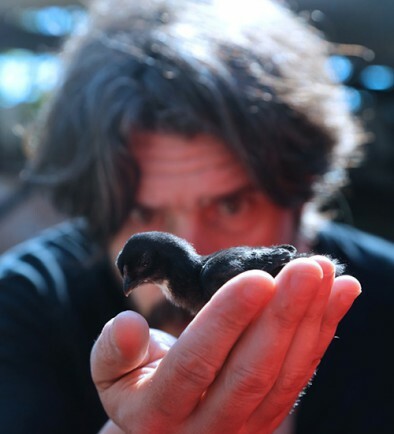 The objective of their collaboration is to investigate the genetics of the chicken. The unique CCP set-up provided the scientists with an interesting model to investigate the genetic diversity between breeds and makes it possible to assess the consequences of crossbreeding. 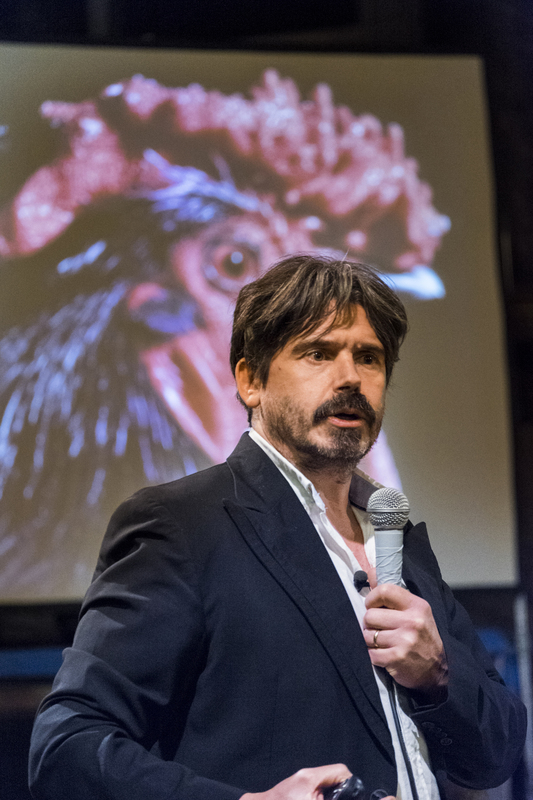 Genetic diversity is essential, proves the Cosmopolitan Chicken Research Project and gives us interesting debate material for the conversation. 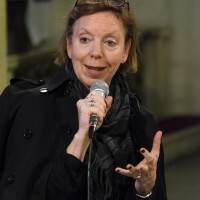 Jill Silverman van Coenegrachts opened the panel discussion with a question on comparing the methodology of an artist working in his studio and finding inspiration from nature with the methods a naturalist uses on his boat going to the Galápagos Islands and writing down everything he sees. Are we talking about one type of thinking and one type of inspiration or is this different? 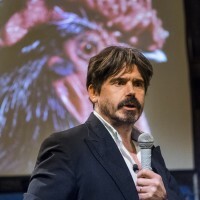 Prof. Cassiman confirms that the Cosmopolitan Chicken Project is a unique set-up and that scientists would never have come up with this experiment. 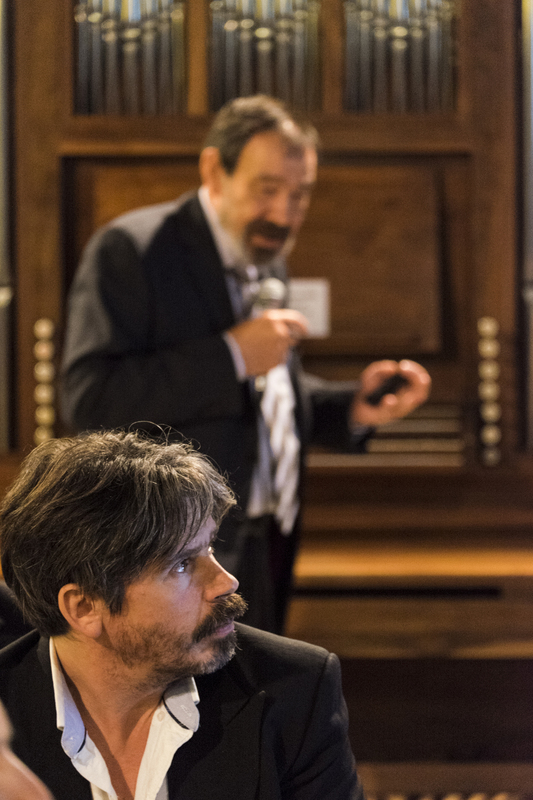 However, although there is a difference in methodology, it is very important that Koen is as secure as the scientists, or else a collaboration would not have been possible. 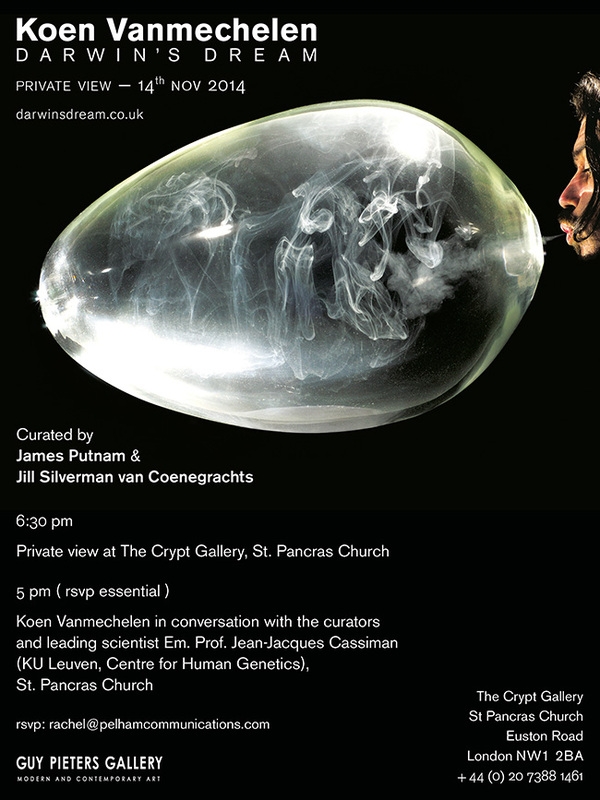 Curator James Putnam wondered about the boundary between art and science. The artist replicated that for him. Everything he does is art since his practice is based on an intuitive feeling and on the element of coincidence. 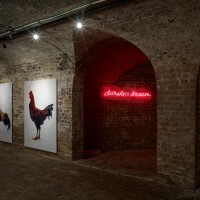 This is also visualised in Darwin's Dream with the works selected for this exhibition. They reflect on 20 years of artistic work and show the energy of the animals central in Vanmechelens work, according to the curators. Finally, the floor was opened for questions from the audience who were mostly curious to hear more about the plans for the future of the project and about the idea of de-domestication. Do we as humans also need to de-domesticate?